SJS will perform a Charity Concert in aid of St Mary’s Church, Preston on Stour on Saturday, 3 October. The concert will start at 7.00pm. Tickets are £15.00 including a glass of wine, and are available from the St James’s Singers’ Box Office 07502 939498. 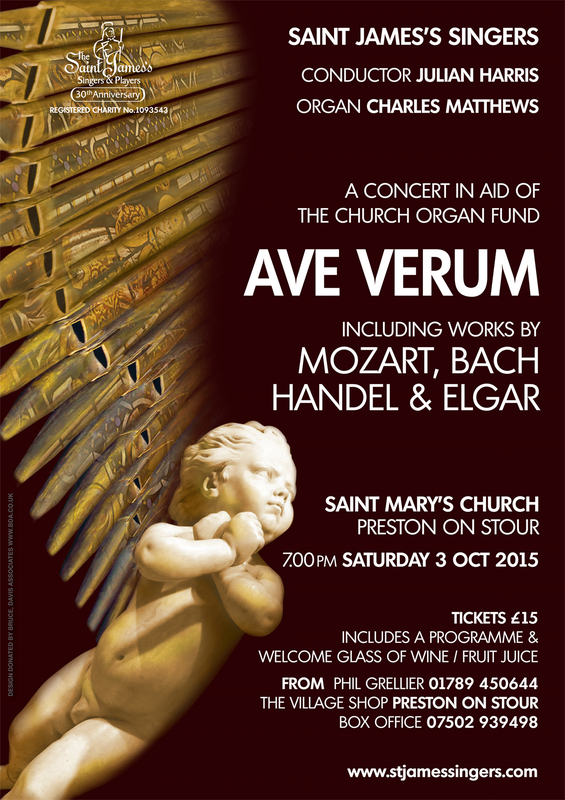 The concert will be a an evening of wonderful variety – a veritable musical smorgasbord! 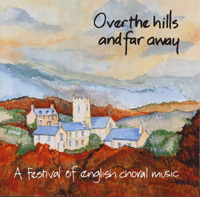 It will include a range of beautiful choral classics from across the centuries. There will be some well known and much loved pieces, some less well known by the greatest composers, and some 21st century pieces, including two brand new works. The music will vary from the quiet, simple and contemplative to the bold, complex and uplifting. In short, there is something for everyone. And with the ticket prices including a free glass of wine, or soft drink, we can promise that you will go away refreshed in both body and soul! Audience favourites include Bach’s Jesu Joy of Man’s Desiring and, in our view, the best of Handel’s Coronation Anthems – the lilting My Heart is Indicting. From the 17th century we will perform two gorgeous early pieces by Byrd and Purcell, and from the 18th century two motets by Bach: the lyrical double choir piece, Komm, Jesu Komm and the joyful Lobet den Herrn. From the 19th and 20th century we include wonderful pieces by Elgar, Howells and Stanford. 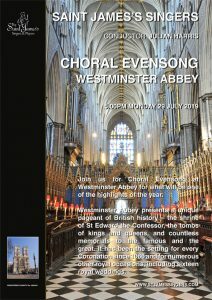 And bringing you more up to date we will sing Paul Mealor’s sublime Ubi Caritas, written for the wedding of the Duke and Duchess of Cambridge plus two premieres: Crucifixus by George Rigby and a setting of Ave Verum Corpus by Julian Harris. The concert will in fact include four settings of the text Ave Verum Corpus, a short Eucharistic hymn which dates from the 14th century and has been set by many composers including those of Mozart, Elgar and Byrd. As such the text Ave Verum Corpus acts as a golden thread tying the concert together.